Yin Yoga- These are postures of stillness for promoting growth, clearing energetic blockages, and enhancing circulation. Yang Yoga- These are postures for developing core strength and muscle tone, balance, and stamina. Yin Flow Yoga- This includes both Yin and Yang yoga. Yin Flow is more than just a sequence of postures. The process of transition from pose to pose is as integral to the practice of Yin Flow as the postures are. Flow is a method of movement that incorporates continuous, smooth and circular motion. It promotes ease, fluidity and grace in the body. Taoist Energy Alchemy- This is the art of cultivating and harmonizing the five alchemical elemental energies that are contained in the universal life field. These elements animate distinct qualities in the body such as lightness, fluidity, strength, springiness and calm. 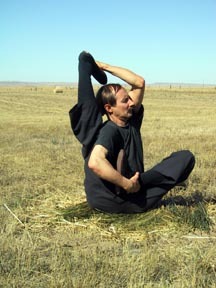 Chi Kung– These exercises involve very simple and gentle movements and breathing techniques. They are designed to increase vitality and to restore harmony in the natural rhythms and functions of the body and its energetic field. Yin Yoga has its roots in the ancient Taoist tradition of China. Being in harmony with the rhythm and flow of nature is the essence of Taoist attitude. Yin Yoga draws upon the doctrine of the five elements and the principle of yin and yang used in Chinese medicine and acupuncture. Yin and yang are the polarities of a whole, the complementary opposites of dark and light, cold and hot, soft and hard, female and male that allow all things to come into being. They are the two sides of a coin. One cannot exist without the other. Yin and yang is the vibration of the universe. It is the pulse of the energy that informs all of life. In Yin yoga specific yoga postures are used to actualize the energetic attributes of various creatures and to stimulate the transformational properties of the five alchemical elements. This helps to enliven and harmonize these qualities within the body. The gaol is to animate the primal spirit that resides within us all. Integrating the power and healing aspects of these energies will help to balance emotions and put one into accord with the true nature of our being. Master Zink continues to evolve his art of Yin Yoga by adding postures, variations, and insights. Through many years of study, practice, and teaching he has further developed the Taoist tradition he was taught into his own distinctive and dynamic style. not to reinforce them by demanding conformity to rigid, limited paradigms. Yoga does not require scientific approval or validation. Intellectualizing the practice of yoga serves to obstruct a deeper understanding of its essence. “What has made technology so destructive, and what has made science so terrifying is that they have exercised spirit. There is no spirit left. And spirit is necessary. By getting rid of spirit, science forever abandoned the possibility of explaining life. They wont be able to. As long as they are reductionist they can forget about explaining life. If we were to allow the spirit back in then our science would begin to look like alchemy. I believe we have to get past this subject-object dualism. And in the area of technology the way you get past it is in the concept of the philosopher’s stone. * What we need and want is a marriage of spirit and matter where the modalities of each are honored in that marriage. *The Philosopher’s Stone is a legendary alchemical substance believed to be able to transmute base metals into gold. In the Taoist tradition it was considered to be an elixir of life capable of rejuvenating the body and achieving immortality and transcendence of the corporeal form. 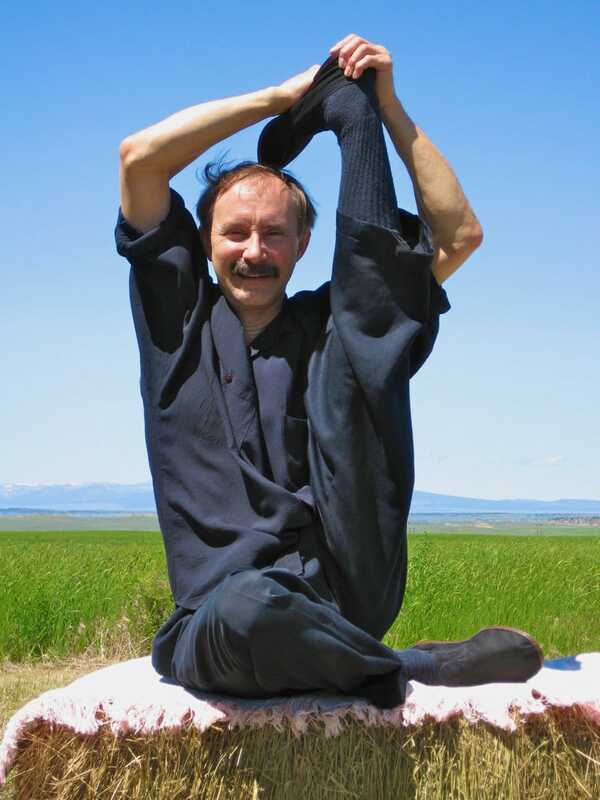 Paul Grilley studied Paulie Zink’s Taoist Yoga with Master Zink for about a year in the late 1980’s and learned Master Zink’s beginning level of the art. 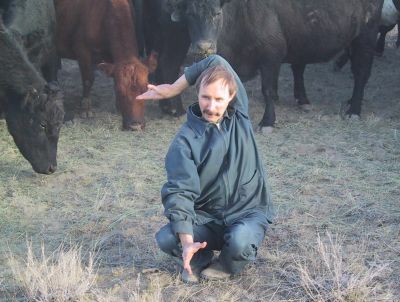 Grilley taught the basics he learned about Taoist Yoga to Sarah Powers. Sarah began teaching what she learned from Grilley and changed the name to Yin Yoga. Grilley also incorporates his own philosophy and theories and that which he learned from his studies with Dr. Motoyama into his teachings. 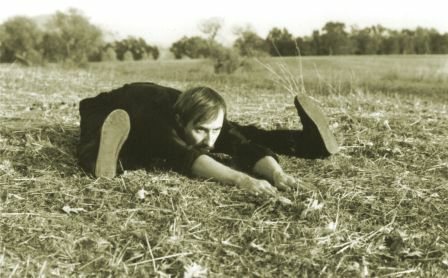 In order to avoid confusion Master Zink now refers to his Taoist art of yoga as Yin Yoga or Yin and Yang Yoga. Yin Yoga is rooted in a Chinese Taoist form of yoga. The art uses postures based on the five transforming energies or elements. Everything around us is made of these energies. Our health depends upon being in a natural state of balance with these elemental energies. The Chinese Taoist philosophy sees the entire universe as a living organism and our body’s organism as a microcosm of the universe. Everything is interconnected and interdependent. One difference between the Taoist tradition and Hatha yoga is in the emphasis on the flow of energy. In Hatha yoga the focus is on moving energy (or prana) along the spine and through the energy centers of the chakras. In Yin and Yang yoga energy is channeled up and down the spine and through the chakras and then through the limbs and out the hands, feet, and head, extending the life force beyond the body. This is called “moving energy in the five directions”. 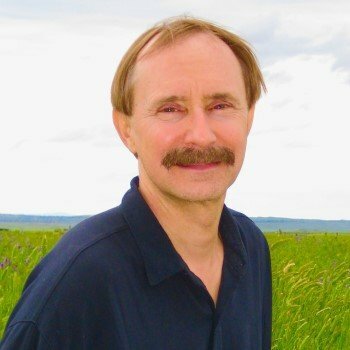 These exercises involve very simple and gentle movements and breathing techniques that are designed to increase vitality and to restore harmony in the natural rhythms and functions of the body and its energetic field. Chi Kung has been utilized in China for centuries as a preventative to debility and premature aging, and to promote healing, relieve stress, and strengthen immunity. Chi Kung is taught to Chinese medicine doctors as part of their traditional training. Some practitioners use their own chi to treat patients. And Chi Kung exercises are prescribed for a variety of medical conditions. Chi Kung can be helpful for those with serious illness or physical impediment who may not be able to participate readily in other forms of exercise. These techniques are also a healthy way to revitalize from the effects of stress or fatigue. The methods of Chi Kung are quick and easy to do. They are especially useful for people in the care-giving professions. In addition, Chi Kung can be used as a physically active alternative to sitting meditation. Aura Palm is a graceful open handed martial arts form similar to Tai Chi but more dynamic. This choreographed sequence of movements incorporates flowing motion with both high and low stances. It can be practiced slowly as a meditation or quickly for an aerobic workout. Aura Palm stimulates the circulation of life force in the body and channels it through the extremities. It serves to enhance vital energy while developing balance, agility, coordination, stamina and strength. It is recommended for people who are in good physical condition.